At 2 to 3 dollars apiece, the uni-ball Vision Elite is a pen that’s positioned at the top-end of the inexpensive, plastic market. It’s the sort of pen you’d expect to be handed at a car dealership just before signing a lease agreement. 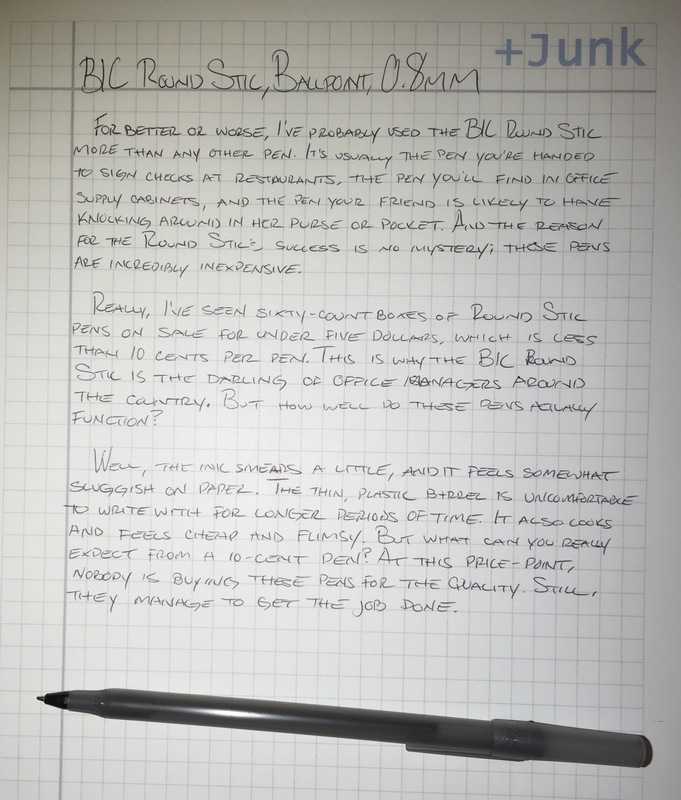 It contains a dark ink, has a sturdy clip, and features a thick, robust barrel. However, the most impressive thing about the Vision Elite is its ink – advertised as “super ink” – that barely smudges or smears at all. On the other hand, the ink doesn’t flow all that consistently, and this 0.8mm tip provides a much bolder line than I expected (although, uni-ball does make finer-tipped versions, at 0.5mm and 0.7mm). Additionally, I should mention that I had problems with the cap, which would constantly pop off whenever I tried posting it to the end of the barrel. Though, these “designer series” versions of the Vision Elite, which differ only in aesthetics, do look pretty snazzy. If you’re looking for a fairly inexpensive, low-smear rollerball pen, then the Vision Elite is a good choice. 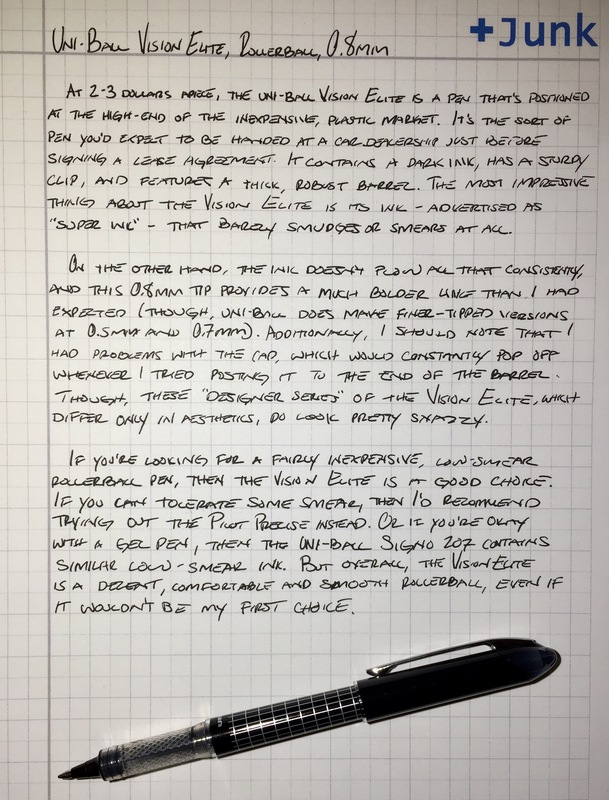 If you can tolerate some smear, then I’d recommend checking out the Pilot Precise instead. 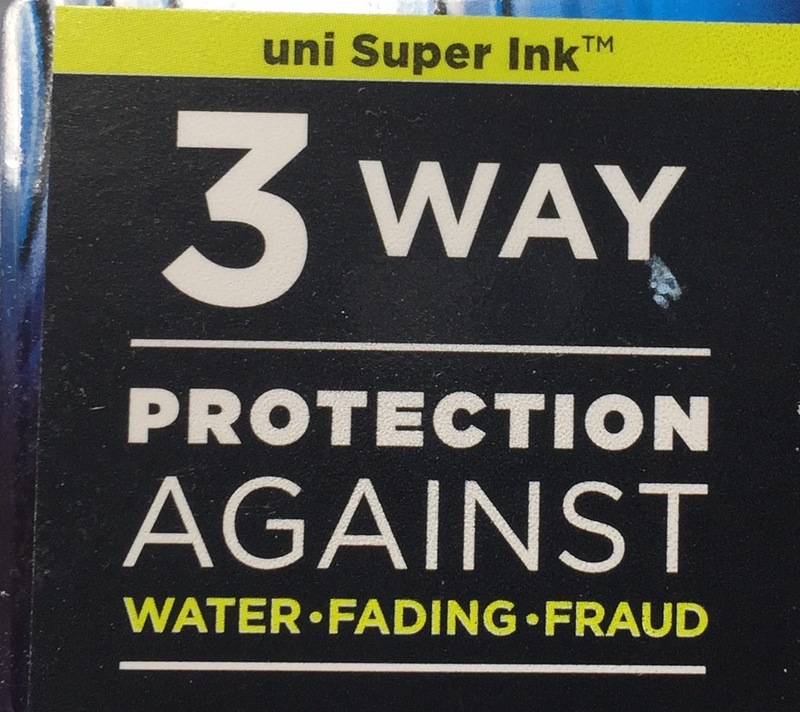 Or if you’re okay with a gel pen, then the uni-ball Signo 207 contains similar low-smear ink as this pen. But overall, the Vision Elite is a decent, smooth and comfortable pen, even though it wouldn’t be my first choice. Art Supply Critic has a review that features the red and blue versions of the Vision Elite. He mentions some bleed through issues, which will definitely happen on thinner paper. Here’s a very positive review at The Clicky Post. It’s mentioned here that refills for the Vision Elite can be purchased separately, though you’ll spend about the same amount of money if you just decide to buy a new pen. 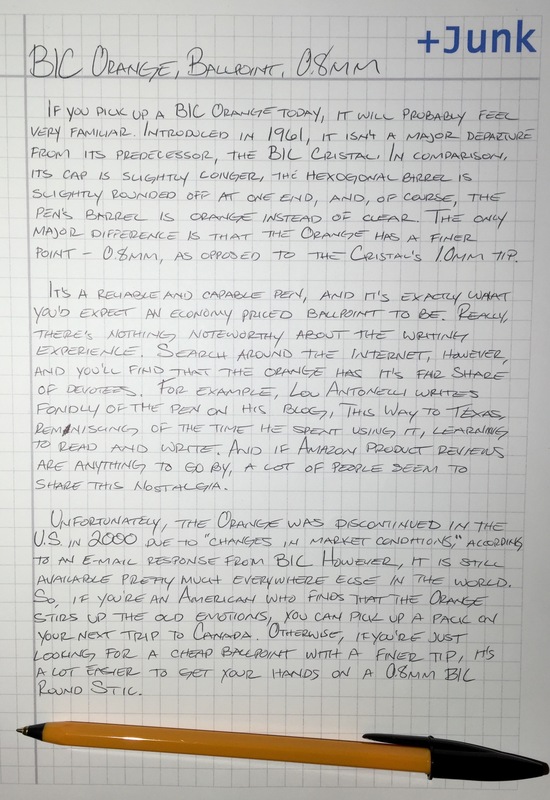 And, of course, this was reviewed by The Pen Addict. It’s mentioned here (and in the pen’s advertising) that the Vision Elite is airplane safe. Though, honestly, I’ve never had a problem with pens exploding on airplanes. So I’m not sure that this is a unique feature. For better or worse, I’ve probably used the BIC Round Stic more than any other pen. It’s usually the pen you’re handed to sign checks at restaurants, the pen you’ll find in office supply cabinets, and the pen your friend is likely to have knocking around in her purse or pocket. And the reason for the Round Stic’s wild success is no mystery; these pens are incredibly inexpensive. About as close to a “dime-a-dozen” pen that you can get. Really, I’ve seen sixty-count boxes of Round Stic pens on sale for under five dollars, which is less than 10 cents per pen. This is why the BIC Round Stic is the darling of office managers around the country. But how well do these pens actually function? Well, the ink smears a little, and it feels somewhat sluggish on paper. The thin, plastic barrel is uncomfortable to write with for longer periods of time. It also looks and feels cheap and flimsy. 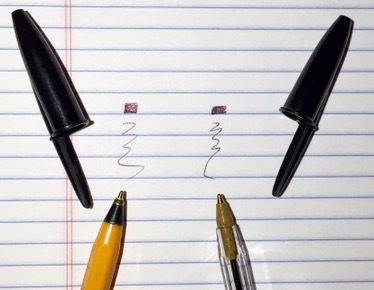 But what can you really expect from a ten-cent pen? At this price-point, nobody is buying these pens for the quality. Still, they manage to get the job done.